The photographer Erik Johansson exhibits 12 of his best images, one of them never published at his website. His photos are full of irresistible and distorted details, dreamlike yet realistically surrealistic. The photos are produced during the last nine years, and invite the viewer to go close. 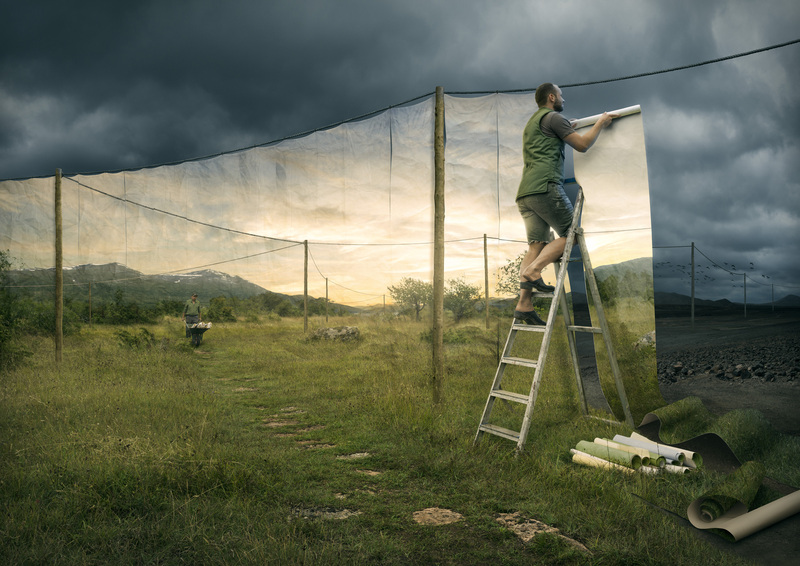 Erik Johansson does not work with traditional photography, on the contrary. He captures ideas with his camera and his imagination. The target is that the photograph should be as realistic as possible, even if the scene itself is an impossible composition. Erik Johansson, born 1985, is a photographer and image creator. He was raised in Sweden, but nowadays he lives and works in Prague, Czech Republic. He creates surrealistic scenes by combining different photographs.